You are here: Home » Join Us! 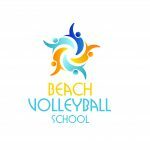 Become part of our exciting journey as a beach volleyball school…. ​Are you looking to open a beach volleyball business? Then we can help you. Beach Volleyball School and its parent company, Beach Volleyball Inc, was one of the first and most successful beach volleyball enterprises in the UK. ​Over our years of operation, we have seen many different models of beach volleyball businesses, and we can advise you in your specific case as to which one suits you. There are lots of different ways to make money out of the game; we are here to help you to choose the best one. ​We would offer you mentoring from Denise Austin, a pioneer in beach volleyball in the UK. She would be on hand to give advice during the ideas phase of the business, and then travel to you to help opening the business in the beginning, giving you some tips and tricks to make sure you enjoy a seamless opening to the new venture! ​We can offer successful, clean and professional branding under the Beach Volleyball School name. We already have designs and prices for several marketing tools, including banners, posters and flyers, as well as an excellent presence on social media and the internet, all of which we would use to promote you. You would become a part of our existing website as one of our key locations, which we can help to set up. ​Through our national advertising programmes and through our detailed knowledge of the UK beach volleyball scene, we will help you to get your name out quicker on the UK volleyball circuit and to new pundits. We have been working to document our sessions, so that you can replicate them. We have videoed a number of different training sessions working on a variety of skills for all levels, that you will have full access to, to use as you like. These are top quality training plans refined over decades of use, with detailed technical explanations of all the different skills involved. As well as our training plans and videos, we can offer guest coaching from some of the professional Beach Volleyball School staff. These sessions always prove to be a draw for new customers to the business, and is also an opportunity for any coaches working at your facility to learn from them in the flesh! Denise is an experienced tutor, currently holding the title of Staff Tutor for Volleyball England; she would be able to run seminars to qualify your coaches for the job. A flat fee annually, and a small setup fee at the start of the business. Where we take a small percentage of whatever you earn. Interested in some or all of these services? Give us a ring, send us an email or find us on social media, and we will get back to you as soon as we can.